Special Containment Procedures: The exhibition hall of Reliquary Research and Containment Site-76 has SCP-341 on display for all Research and Command personnel to view. Description: A collection of eleven brass and iron orreries found in a large storage room of a basement at Oxford comprise SCP-341. 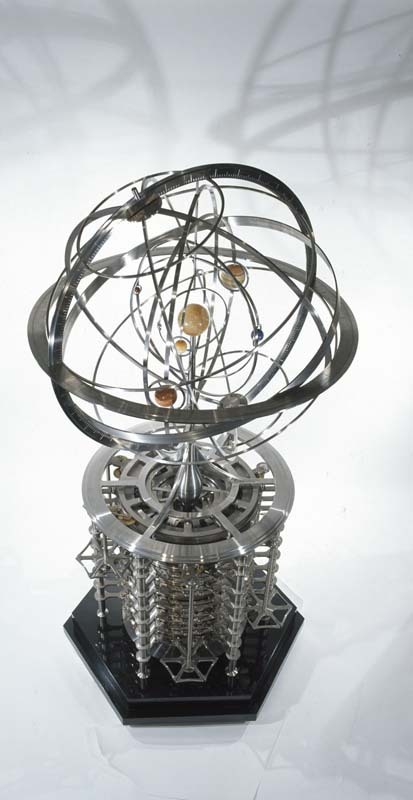 Each orrery is a rough scale model of a different extra-solar star system, complete with planets, moons and one or more suns in the center. 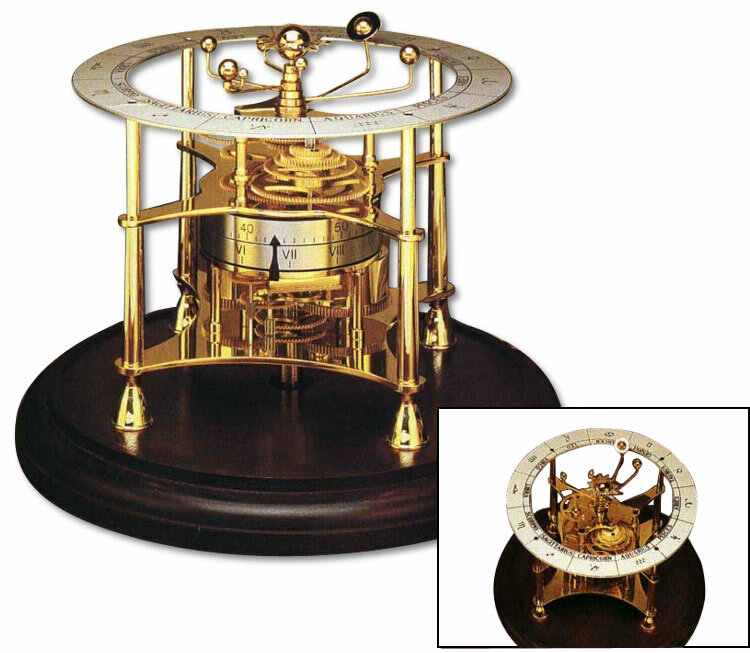 A unique clockwork mechanism under each orrery allows the brass models of planets and moons to spin on axis and rotate around each model of its parent star(s). 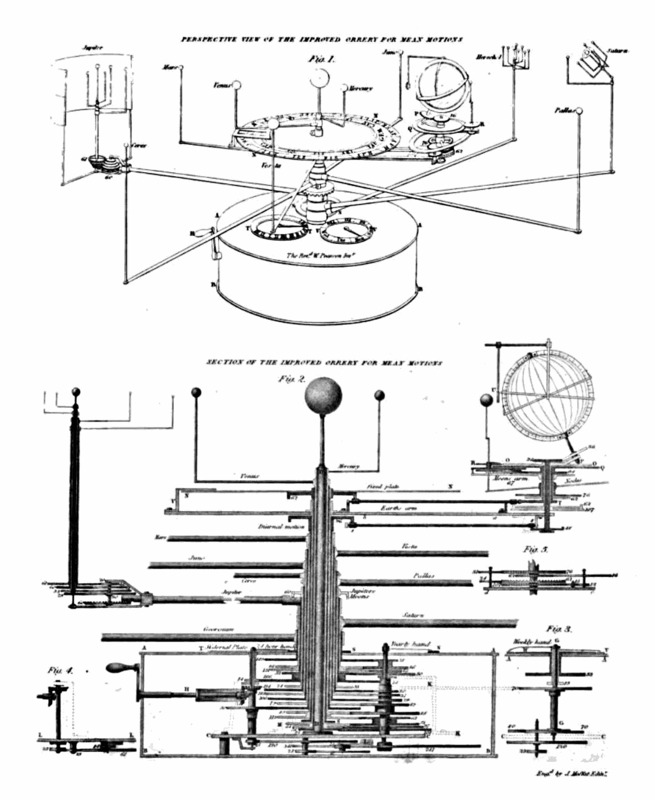 Testing dates each machine to be between 150-200 years old, but without any specific markings, researchers have been unable to determine who created them. A design found with the collection that either was never constructed or is simply missing. 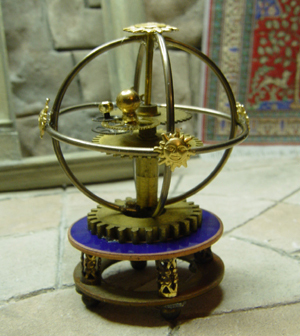 One orrery, known as "the wheel of doom" amongst researchers, depicts a similar solar system very reminiscent of our own Sol's. Though the planets and Sun themselves are neither near to scale nor spaced proportionately, the presence of seven major planets of our own system is fairly obvious, including Saturn and its rings and the tilted side of Uranus. There are also 5 minor planets included beyond the orbit of Neptune. 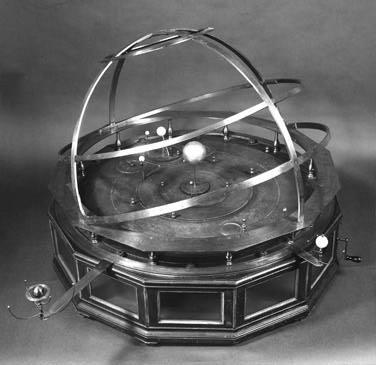 The orrery is missing a model of Earth and instead has a free Moon roaming through a debris field similar to the asteroid belt present between Mars and Jupiter.